How many times have you walked into a room only to have forgotten why you were there? Do you misplace your keys frequently? It happens to all of us, and while we may have to accept that as we age our minds may not be as sharp as they once were, there are things you can do to boost your brain power and maximize your memory. Memory loss is a relatively common health concern for older folks. Data suggests that 12.5% of adults ages 45 and over feel like their memory is slipping. Though, honestly, a little forgetfulness is unavoidable as people age. It can happen as part of healthy aging above the age of 65 due to some shrinkage in the brain as folks get older. It’s important to note that many things can cause memory loss. Here are surprising things that impact your memory in both good and not-so-good ways. When the thyroid is out of whack, often times the brain gets ‘foggy’ and concentration can be hard. Having your loved one get a simple blood test can rule out issues related to thyroid. If, however, they do show signs of low thyroid, medication can make all the difference in the world. 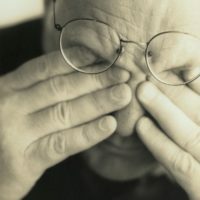 Individuals that suffer from sleep disorders or deprivation not only suffer from impaired memory, but also daytime fatigue. Be sure that your loved one is getting enough sleep. The standard eight hours doesn’t apply to everyone. If they are fatigued when they wake up, or fall asleep unintentionally during the day, then more sleep is necessary. If you’re worried about your ability to recall things, here are a few things that might help. Regular physical activityimproves mood and sleep, and by doing so it improves cognition and memory. According to recommendations from The Department of Health and Human Services, the older adults should participate in at least 150 minutes of moderate exercises a week or 75 minutes of vigorous exercises a week. Partaking in physical activity gets your blood pumping everywhere in your body including your brain, which may aid in keeping your mind sharp. Actually, green tea. Chemicals found in green tea may help improve memory. Several compounds, EGCG and L-theanine, in green tea increases the growth of new brain cells. Vitamin B12: Make sure your loved one is getting enough Vitamin B12 in their diet. It naturally occurs in shellfish, meat and poultry. Not enough can cause fatigue, loss of appetite, and weight loss. A B12 deficiency can also lead to memory problems. As with thyroid, a simple blood test can determine whether your loved one should be taking a supplement. Brain Games: While staying mentally active through mental stimulation (i.e. crossword puzzles, social interaction) is important to maintaining memory, physical stimulation through exercise is equally important to enhancing brain power. Some studies have found that brain games help improve working memory and processing fees while others show that these games help preserve cognitive health in older adults. Others, however, claim that these brain games have no benefits. Nevertheless, these games can be fun so what do you have to lose? Meditate: Spend time in mindful meditation. Researchers from UCLA discovered that individuals who meditated had more (physical gray matter) brain power than those who didn’t. The reason for this could be that even though our brains shrink as we age, meditation may slow the shrinking process. Take time, several times a day to quietly contemplate and relax. Reduce Stress: As we age, it takes us longer to complete tasks than it used to, but that is no reason to stress. It’s a proven fact that as we age we have slower response times and it may take us longer to make decisions; it doesn’t necessarily mean we have slower mental processes, it may simply mean we are taking longer to make a conscious choice. Trust your instincts: Being physically fit and staying mentally active are worthy goals for anyone of any age, but these become even more important as we age. What steps are you taking toward better mental and physical health?